I once ate an ant THHHHIIISSSSSSS BIGGGGGG. I love you THHHHIIISSSSSSS MUCH. King Kong ain’t got nothin’ on me? Whut!? You wanna piece o me?!?!? What? 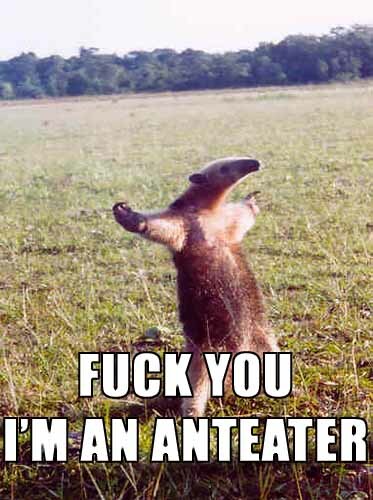 So yer an Anteater? Yeah? Well… SHOW ME! come to meet my little friend!